Researchers may have finally solved the debate over how the first Americans arrived on the continent. An ambitious new cross-disciplinary study promises to at least partially resolve a long-running debate in science. 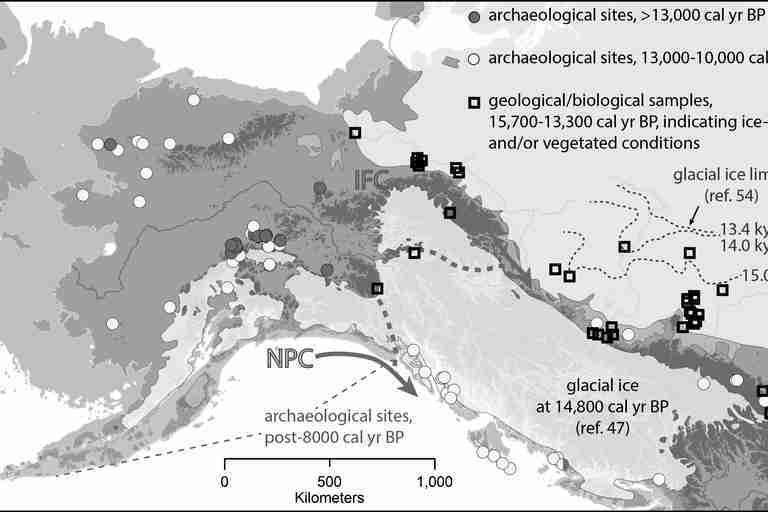 Did the first Americans arrive via an inland land-bridge route, threading their way through ice sheets in modern-day Alaska? Or did they skirt the coastline from Asia to the Americas? According to the new analysis of archaeological, genetic, and other data, the answer is … both. Probably. The conclusion leaves a bit to be desired in terms of wager-settling, but according to the research team, it really is the most accurate assessment archaeologists can make at this point. The findings, if widely accepted, represent a potentially major shift in scientific thinking. 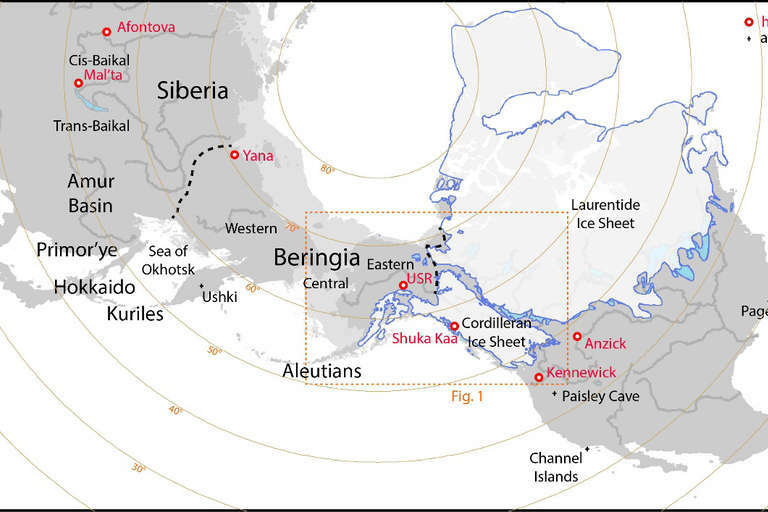 For much of the 20th century, it was considered bedrock truth that the first Americans came to the continent via the ice free corridor — or IFC — a route between two massive ice sheets from Asia through the interior of Alaska and finally into the high plains of North America. But in the last 20 years or so, new data has emerged suggesting that at least some of the very first Americans may have arrived by way of the “kelp highway” — a coastal route from Asia to the western coastline of North America. Emerging consensus on this theory refers to the pathway as the North Pacific Coast route, or NPC. The authors of the new paper conclude that although the IFC route is more often supported by data, the NPC route is now adequately well-supported too, and both theories should be considered as viable pathways to the Americas. The research was published August 8 in the journal Science Advances. Potter, along with co-author David Reich and colleagues, examined multiple previous claims on the subject based on genetic, archaeological, and paleoecological data. In addition to archaeological evidence, the study included analysis of DNA samples taken from indigenous people of North America, as well as lake bottoms, plants, fossils, and bison. Ripan Malhi, a professor of anthropology at the University of Illinois, Urbana-Champaign, said that new genetic analysis technologies can open up entirely new avenues of research for solving the abiding mystery. “We’re just at the very beginning of learning about what we can use genomic data for to infer information about the peopling [of the Americas],” he said. Potter said that he hopes the new paper will encourage further research of both the IFC and the NPC routes.